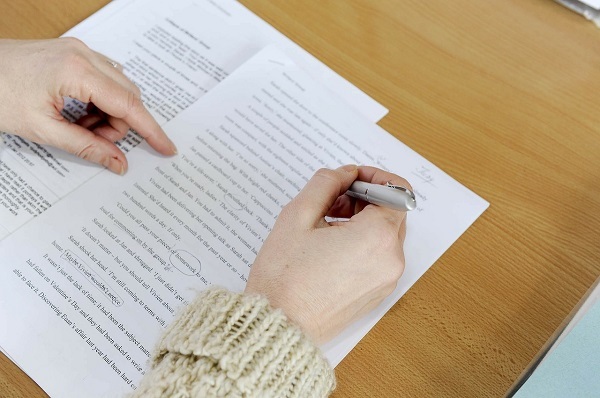 Blog » Are You Ready to Perfect Your Proofreading and Writing Skills? Proofreading is not a piece of cake. However, you need to do it, as it’s an inseparable part of writing. There are lots of things you hate doing, and proofreading is probably one of them. Everyone knows it’s quite hard to evaluate your own work, especially when you’ve been working on the text for several hours. Your eyes get tired and your brain becomes exhausted, and the last thing you find easy to do is spot mistakes. Do you know how to be a proofreader even if you’re distressed? Before you start, take a break. Its length may differ from a few hours to a few days – It’s all up to you. Take a breath and recover. Only then you can proof-read well. You know that there are too many things that can distract you: messages, calls, emails, etc. Switch off, put them all aside, and concentrate. Determine how much time you are to spend on the task and try to stick to it. Each time you reread what’s been written, search for a mistake of a definite type (spelling, punctuation, grammar, etc.). It helps to concentrate better and introduce more accurate edits. Credibility of the materials used in texts is one of the most vital things when it comes to writing. In other words, your work is your face, and all inaccuracies are mud. Don’t let your face be dirty. Some people admit that it’s much easier to proofread if you deal with a hard copy. Some of them are pretty sure a computer screen is what you need. So choose the style you like best. Reading aloud helps you concentrate better. It’s clear that things seem to be different when you see a mistake or hear it. Combine these two types of revising to achieve a better result. Do you have a friend or colleague who can help you? If yes, ask him or her to proofread your work. You can also practice checking your friend’s writing. If not, find one –there’s a proofreader needed for at least one alternative viewpoint on what you’re currently working on. If you don’t have a friend to help, it’s not a big deal. Take advantage of Google translate. Just paste abstracts of your writing into the translation area one by one and click the voice translation button to hear what you’ve written. In places where there are some misspellings, the Google Translator voice will stumble or say words that do not exist. What you should do next is just correct these mistakes! Spellcheck is one thing that can make your work easier. However, you’d better double-check your spelling after the tool has done its job just to be on the safe side. Another assistant that can turn be a great help to you is a plagiarism checker. To avoid unpleasant plagiarism issues, scan texts long before they go live with tools such as the Unicheck plagiarism detection software. It provides links to the original sources information was taken from and highlights all non-original text parts you’ll need to cite. Polishmywriting. It defines types of mistakes and underlines them with blue, red or green colors (red is for spelling, blue for style, and green for grammar). To see what options the tool suggests, you need to click each underlined word. The check won’t last too long, so you’ll be able to get results within a few seconds. Ginger. This tool spots grammar errors, defines whether it’s necessary to rephrase a sentence or not, provides a text-reader help, etc. Slick Write. This checker allows you to activate or deactivate multiple types of editing options for customization. For example, you can enable doubled words and misplaced conjunctions or prepositions search, view the stats for the types of words you used, etc. It’s quite user-friendly and lets you manipulate its options with ease. If you have your own proofreading secrets, will you share them with us? Leave your comments and join our discussion!